The Cave is the womb from where we all came. It provided safety from predatory animals and enemies. 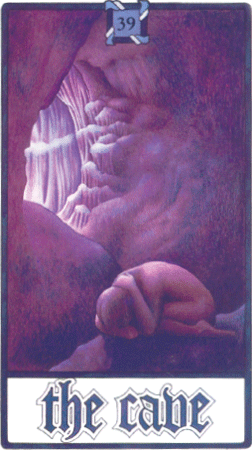 The Cave Card reminds us that there are times in our lives that we need security and to go back inside ourselves before we can venture out again.